Bring your dog or cat into a Petco or Unleashed location in your neighborhood and save on the cost of vaccinations, heartworm and lyme disease testing and purchase prescription flea, tick and heartworm prevention products. Your pet must be present at the clinic for all prescription services, including refills. Don't risk losing your best friend - get your dog or cat microchipped at Vetco for only $19 (select locations, ask your store for details). Vetco offers affordable, low cost vaccination services and preventative veterinary care during convenient evening and weekend hours. 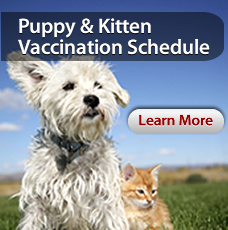 Our state licensed Veterinarians administer high-quality vaccines with no appointments and no exam fees. 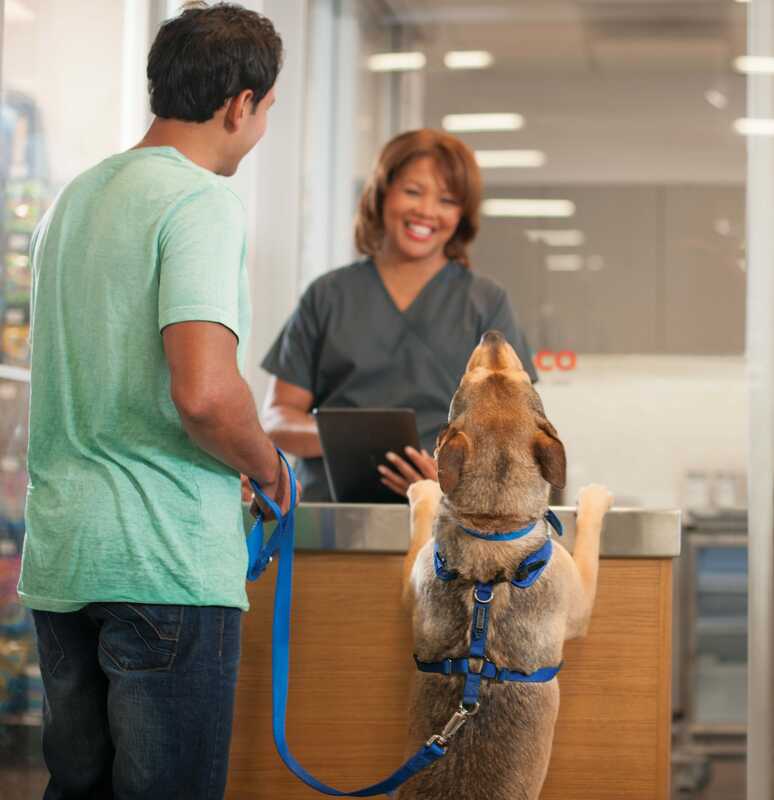 You'll find low cost dog and cat vaccinations, puppy and kitten vaccine programs and the great prices on quality pet meds at our nation-wide vet clinics at Petco. We offer heartworm tests and rabies shots, bordetella (kennel cough), distemper vaccines and much more. Click here for packages and prices. 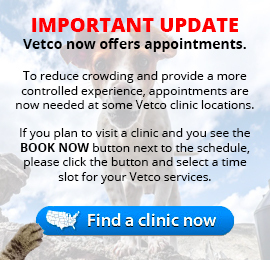 Click here or enter your zip code at the top of any page to find an a Vetco clinic now.